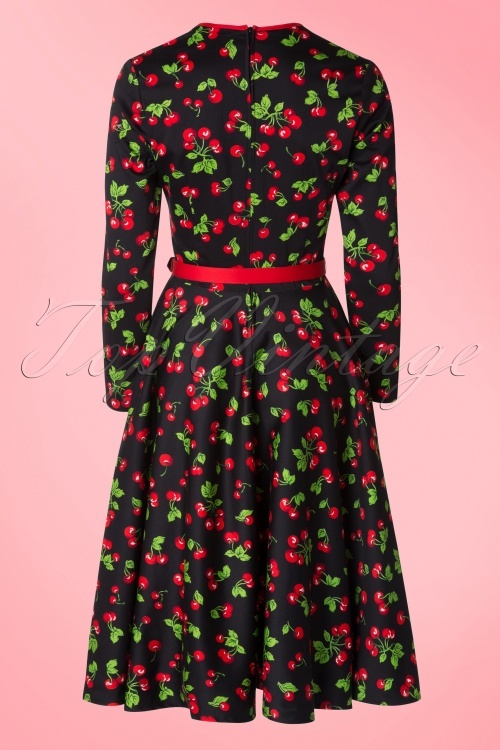 This 50s Heidi Black Cherry Long Sleeve Swing Dress by Pinup Couture is a beautiful dress featuring the famous cherry print! 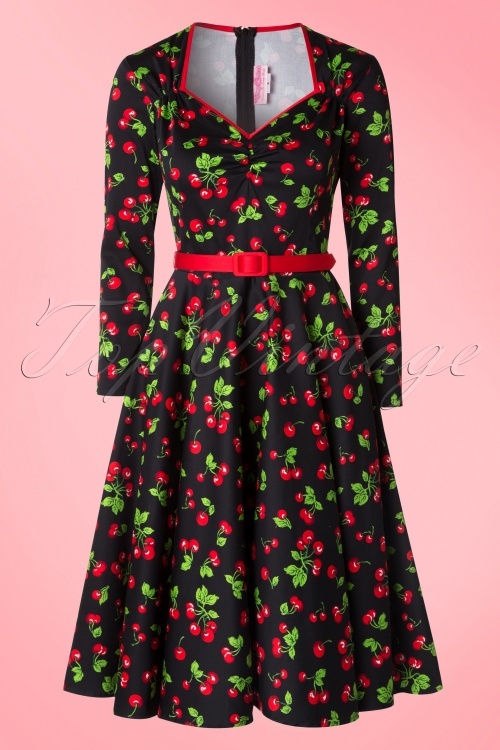 This beauty is the sister of the Heidi Black Cherry Swing Dress, just as gorgeous but now with long sleeves! Beautiful queen Anne neckline, slightly pleated at the bust and finished off with bright red trims, wow! The elegant long sleeves make it possible to wear this stunner even when the weather is bad. 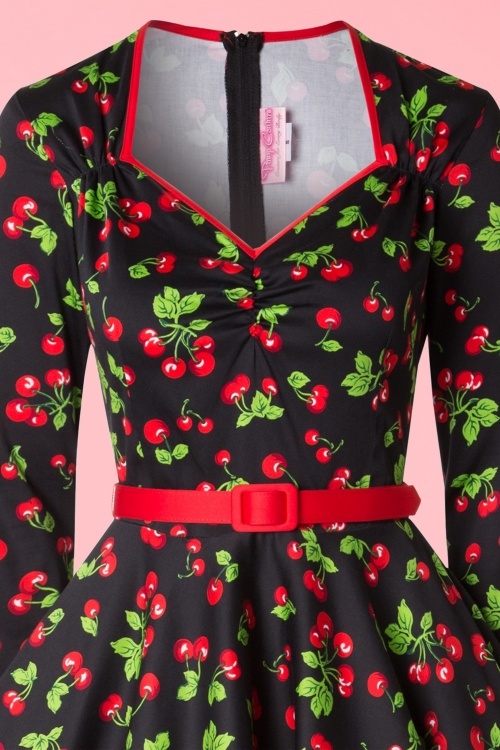 The waist is perfectly emphasized by the detachable bright red fabric belt. 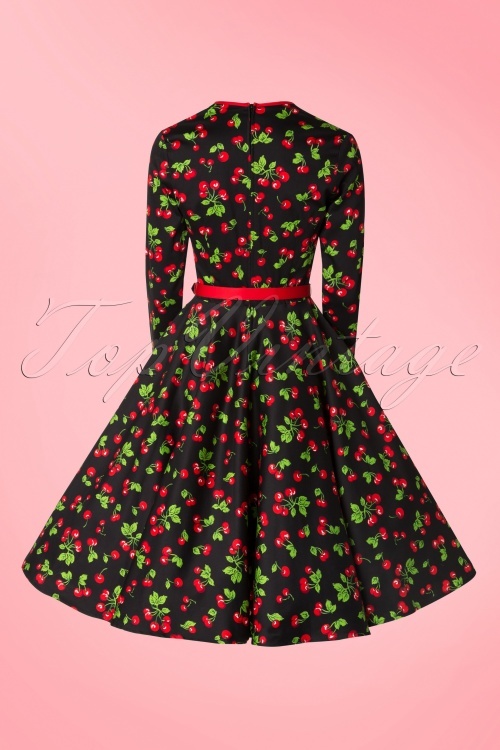 From the waist down ending in a flattering full swing skirt which can be paired with one of our petticoats for an extra festive effect, as shown in our pictures. 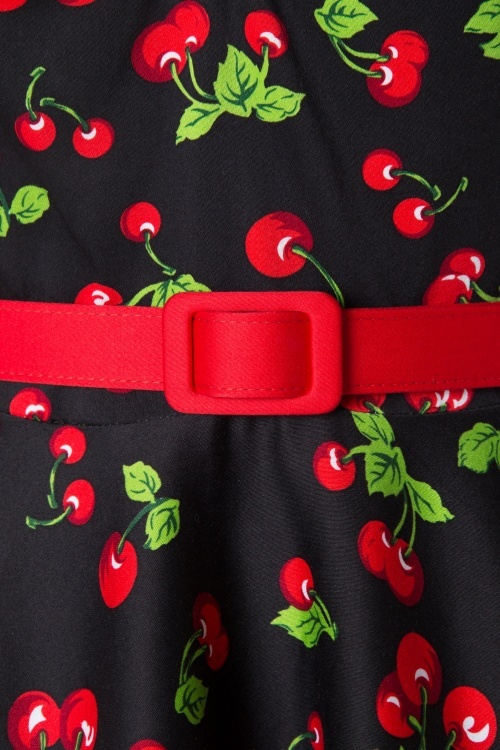 Made from a light stretchy black cotton blend featuring a playful cherry print all-over. Finished off with a hidden zipper at the back and handy side pockets. This stunner hits below the knee with a height of 1.70m/5'7". Long or short sleeves? That's the question! 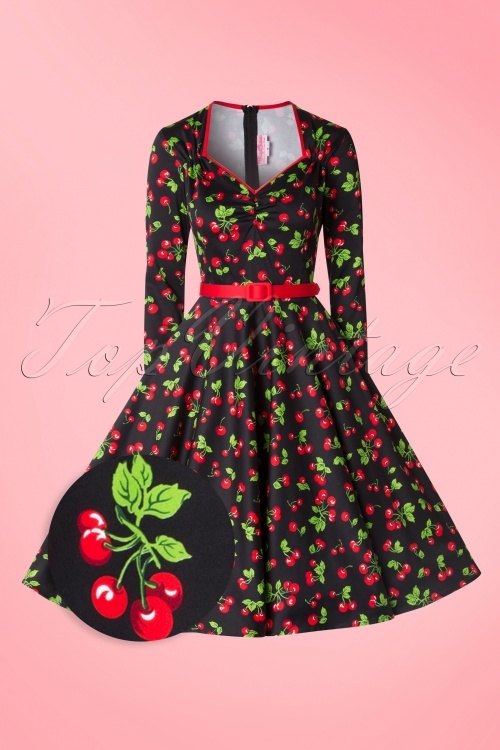 Dit is geweldige jurk en heeft lange mouwen wat je niet vaak ziet bij vintage stijl jurken. Staat mooi en maakt slank. Goede kwaliteit stof zeker een aanrader.